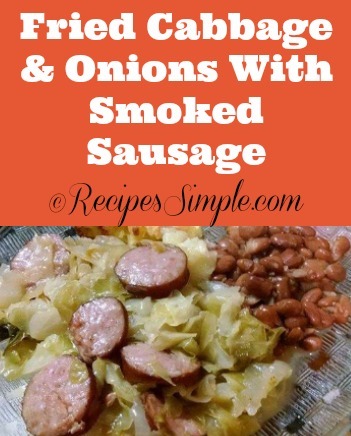 Try this quick and easy recipe for Fried Cabbage and Smoked Sausage. One of our readers, Paula W. submitted this recipe and said it was a family favorite from her grandmother who was always serving up good southern country food that everyone loved. Melt butter in large frying pan. Add cabbage, diced onion, and chicken broth. Add garlic powder; salt and pepper. Cook on medium-high heat for 5 to 10 minutes, stirring to prevent sticking in the frying pan. Stop cooking when the cabbage is still a bit crunchy. Slice smoked Sausage and stir into Cabbage. Cover and simmer for 20 minutes.